It needs to hurry the hell up and be July 31 already. 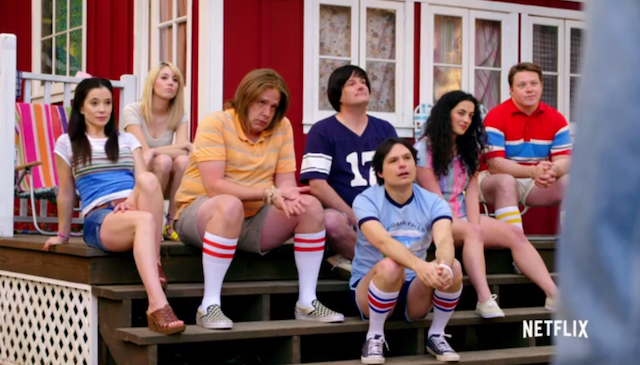 Netflix just released a new trailer for Wet Hot American Summer: First Day of Camp, the eight episode prequel to the 2001 cult classic, and it’ll make you wish you could watch these new chapters today. The first movie takes place on the last day of camp at Camp Firewood, but now you’ll get to see what went down the first time all these crazy kids got together. From what we see, the humor is the same satirical mockery you know and love, like how all the counselors are supposed to be 16 or 17 (while the actors are more than a decade older than they were before). There are even some new twists to Christopher Meloni’s camp cook. Also, Michael Showalter does not look well, am I the only one who’s worried about him? 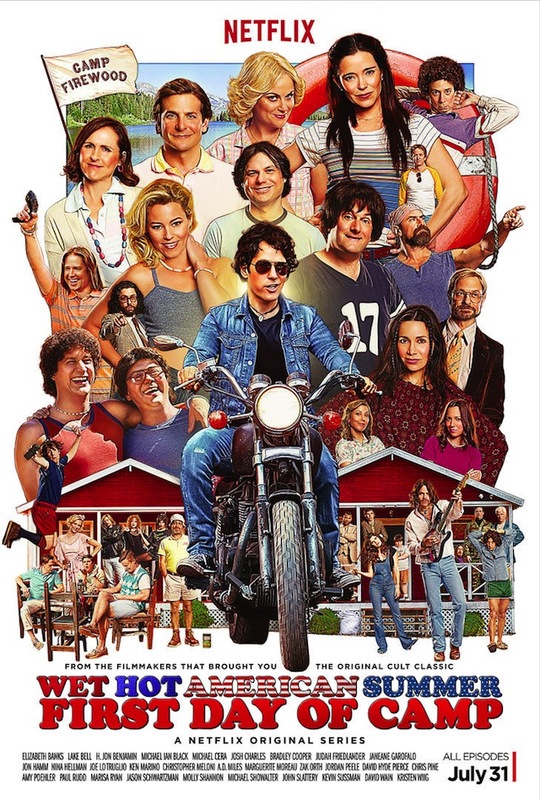 All of the familiar faces are back for more, including Elizabeth Banks, H. Jon Benjamin, Michael Ian Black, Bradley Cooper, Janeane Garofalo, Nina Hellman, David Hyde Pierce, Joe Lo Truglio, Ken Marino, AD Miles, Christopher Meloni, Marguerite Moreau, Zak Orth, Amy Poehler, Paul Rudd, Marisa Ryan, Molly Shannon and Michael Showalter. But they’ve also added even more top tier talent this time around, with the likes of Kristen Wiig, Jordan Peele, John Slattery, Michael Cera, Josh Charles, Chris Pine, Weird Al, and Lake Bell. They also introduce a fresh-faced young actor named John Hamm. This kid is going places. Wet Hot American Summer: First Day of Camp hit at 12:01am on July 31. Check out the trailer and a new poster below.